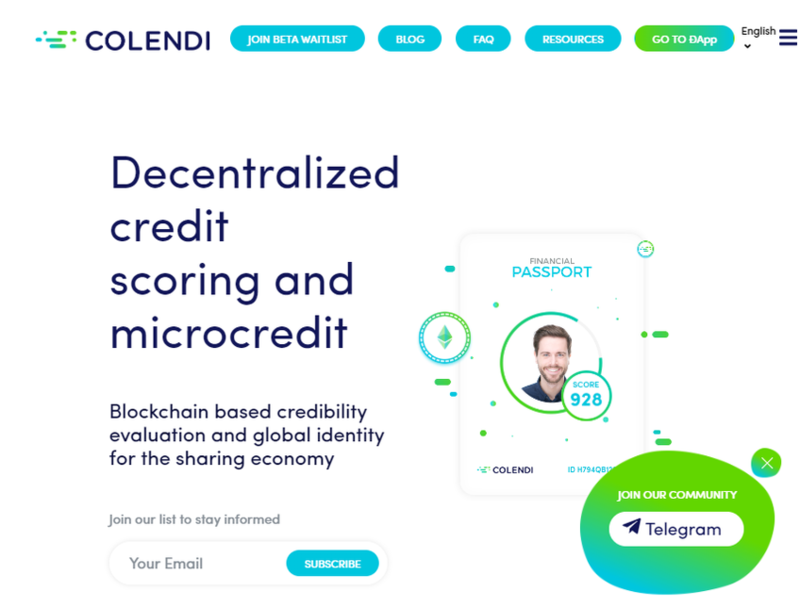 Colendi is a blockchain-based, decentralized credit evaluation and microcredit protocol, compatible with traditional banking requirements and financing methods. The company’s credit scoring serves as a bridge between lenders and borrowers, enabling the unbanked and underbanked to participate in the banking system through microfinancing. The solution works in real time and on a global scale.